Need ideas for your grains unit? Look no further! Taste tests, power points, videos, labs, and unit quizzes. Apply food selection and preparation guidelines related to rice, grains, and pasta. Identify types of rice (brown, instant, long grain and short grain), and cooking methods for rice. Identify cooking methods for pasta. Identify the functions and food sources of fiber. Identify foods high in natural fiber, and how to increase the bulk in low-fiber foods. Class Questions: What is a grain? What is the difference between whole grain, multi-grain, and white bread? What are the health benefits of grains? 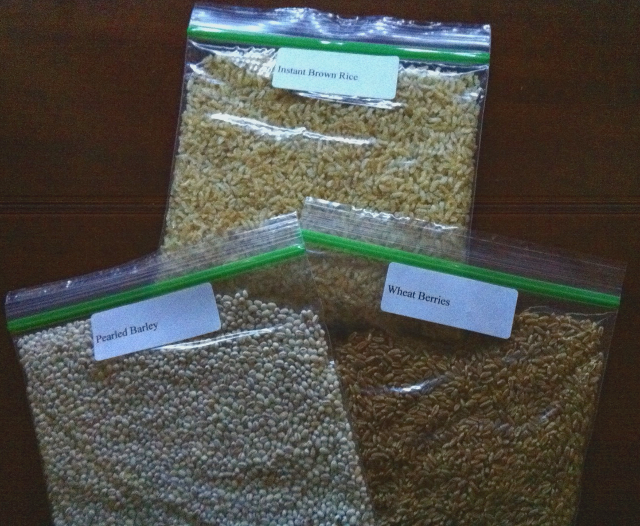 Depending on your time frame for this unit you can either have samples prepared of each of the unusual grains or you can have the class make these grains by having each lab group (3-4 students) make a different grain recipe. Hello! Thank you for this wonderful resource! Is there any chance you have a filled in version of the powerpoint fill in the blank notes? Thank you!